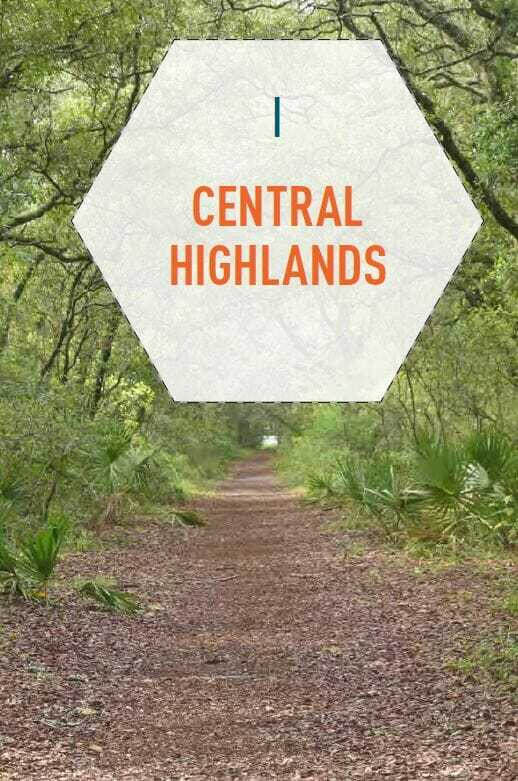 50 Hikes in Central Florida debuts | Florida Hikes! Nearly a decade has passed since I rummaged around Central Florida looking for the region’s top hikes for the second edition of 50 Hikes in Central Florida, and, as hard as it is to believe, 18 years since working on the first edition! Saturday October 6 marked our launch of the third edition, with a presentation and book signing at the National Trails Festival in Deland. The Florida Trail Association gave away copies with the assistance of West Volusia Tourism. Our publisher will start shipping pre-ordered copies later this month. 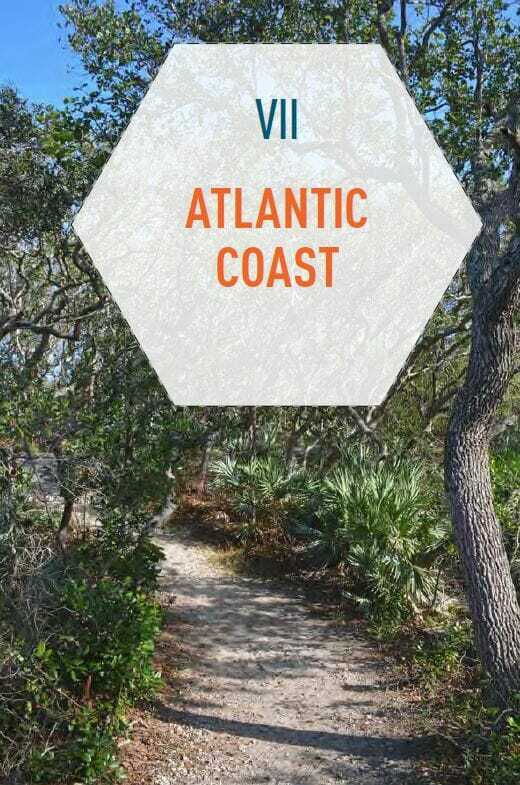 To put together this new edition, John and I spent last hiking season – September 2017 through February 2018 – roaming all over the region between Crystal River, St. Peterburg, Sebastian, and Daytona Beach to revisit old favorites and discover new ones. What was most notable and encouraging during our research is that we’re meeting more people using Florida’s trails than ever before. Containing hikes from 1 mile to 39 miles in length, 50 Hikes in Central Florida has a mix of easy and tougher walks. While we prefer narrow footpaths through the woods, we’ve also seen some of our favorite trails near urban areas be widened to the width of forest roads. I’ll admit I wasn’t happy to see this until we encountered families and groups of friends walking down these wider trails, talking to each other. If that’s what it takes to get more people outdoors, we can deal with these changes. Pets are welcome at more than half of the trails in this book, and of course we note which of the hikes are great for families with small children. As we also enjoy cycling together, we point out which trails are open to bicycles, as well. The third edition of 50 Hikes in Central Florida is a complete overhaul from the two previous editions. 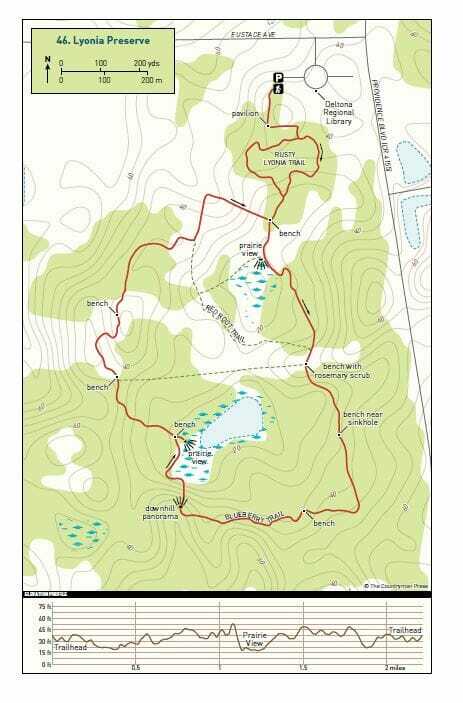 First, it’s in full color, a first for us with hiking guides, the better to showcase the beauty of the natural habitats around our home region and to let you more easily read the detailed full color maps that accompany each of the hikes. You’ll note, with some amusement, that our publisher decided to add in elevation profiles. While these aren’t exactly important in Florida, you will be able to see that there are some places where you can get a workout on the hills. We each carried a GPS as we did our research, so the maps are fresh. Each of the 50 chapters contains two new sections at the end. The first, Other Hiking Options, expands on the hike route explained by the chapter. At locations where multiple routes are possible, it points out the best alternates to the main route. At locations where there is only one possible hike, it includes other places nearby to go explore for more hiking. Between the 50 main routes and these alternate suggestions, there are more than 200 possible hikes in this book. The new Camping and Lodging section provides basic details on places to either camp or stay near the described hike. These are places we’re familiar with and, in many cases, have stayed at ourselves. We figured these would help you in logistical planning for getaways where you want to go take a hike. We’ve replaced a dozen hikes since the prior edition. This reflects the ever-changing landscape of natural lands in Florida. Central Florida’s hiking opportunities have blossomed since I first started looking for trails for the first edition, 18 years ago. As we revisited old favorites, some of the changes we found were for the better. For instance, the trail system at Tiger Creek Preserve, a showcase of Lake Wales Ridge habitats overseen by The Nature Conservancy, has had a major overhaul. Portions of the trail system that once followed old sand roads have been relocated to pleasant, easier-to-hike footpaths, and the trail system has been greatly expanded. They’ve even added a new trailhead at the north end of the preserve, near its namesake creek, and two loop trails that showcase water features. In some cases, our old favorites didn’t stand the test of time, and we replaced them. 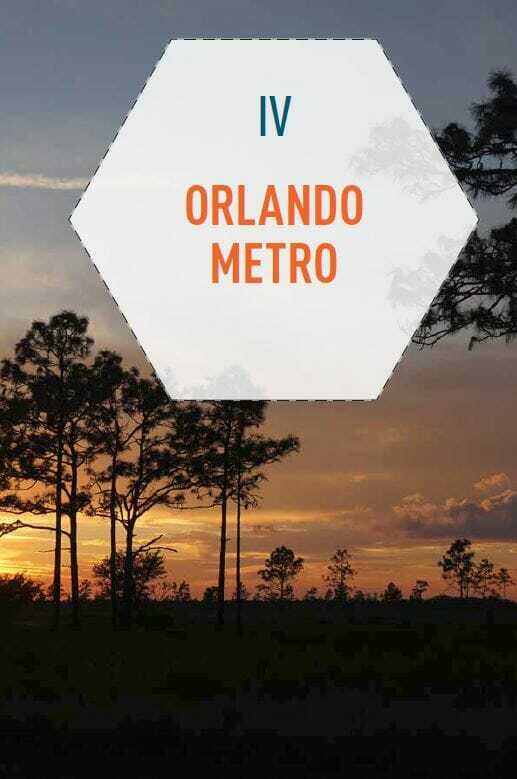 We’ve shifted away from some of the more urban selections in the Orlando and Tampa Bay areas to better showcase trails in natural areas farther from the ever-spreading edges of these sprawling regions. We also pulled in the coverage area a little since there are so many places to hike now throughout Central Florida. In this edition, we haven’t shied away from the Florida Trail in Central Florida. While we set aside our Florida Trail Hikes project to work on this guidebook, we used some of that research to freshen up and expand on some segments of the Florida Trail, most notably between Brooksville and Inverness and over in Osceola and Orange Counties, where the corridor of the trail is actively being shifted into public lands closer to the Orlando metro, such as Split Oak Forest and Hal Scott Preserve. Just east of SR 19, Trout Lake is an endearing private preserve established by an Audubon Society chapter in Eustis in 1988, centered around an educational center. It’s a perfect place to take the kids to have fun in nature, and you’ll find yourself acting like a kid on the boardwalks and swinging bridge, too. Lakeland Highlands Scrub caught our attention because of its boardwalk across a flatwoods pond and the expansion of its trail system since my initial visit there 15 years ago. As it is dog-friendly and on the edge of suburbia, it’s become a popular destination. Part of the Florida Trail in Withlacoochee State Forest, this easily-accessed loop makes for a fascinating walk through river swamps out to the Withlacoochee River and back. It interconnects with several trails, enabling you to expand on the loop to spend a full day out on the trails. This is our newest state park added to the book. Thanks to volunteer efforts, they’ve made huge strides since our last visit in their development of trails on site. We were impressed by the updates to the park, as it now showcases its namesake springs and stunning coastal views. The trail system here will continue to expand. 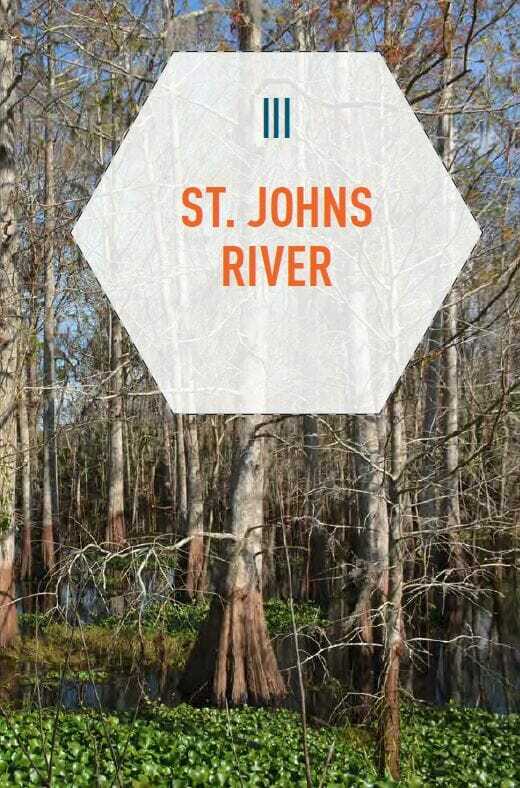 When we were living in Sanford and this park opened, we were so impressed with the amount of wildlife we found on what was the initial out-and-back route to the St. Johns River. A handful of years later, Seminole County turned this into a 7-mile loop with a campsite. It’s incredibly wild for being on the edge of an urban area. And yes, we’ve seen quite a few bears here. Another personal favorite of ours along the St. Johns River basin, a major birding destination and great for wildlife watching. 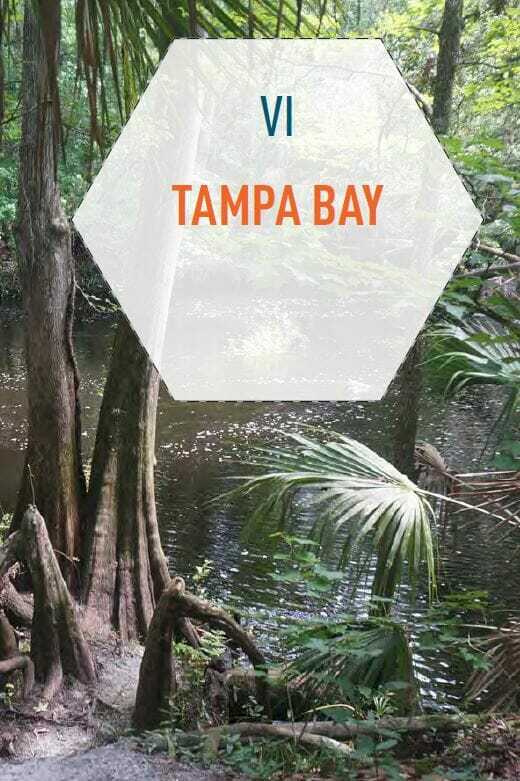 You can hike or bike the levees (trams are also available periodically for those unable to walk far), and the trail system interconnects with the Florida Trail so you can loop out into the woods for a long day hike or overnighter. Always a favorite for day hiking, this figure-8 loop along the Florida Trail is one of the oldest segments of the trail created in Central Florida. With several backpacking campsites and a group camp along the route, it’s ideal for a weekend trip, especially for Scout troops. 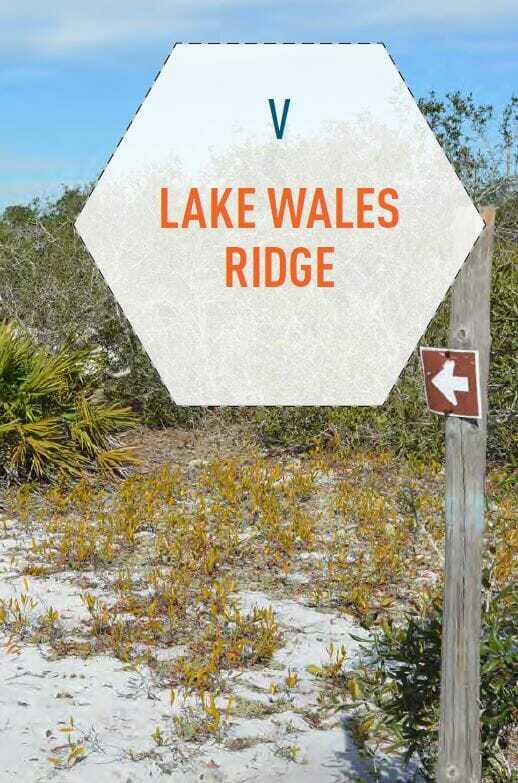 We knew this long-standing Pinellas County preserve had an excellent educational complex, but shied away from writing about it because the longer trail loops have been under water on every visit. On our most recent visit, that was still true, but certainly didn’t keep dozens of visitors from roaming the shorter, easier loops, which are quite beautiful. Believe it or not, the trail system here started as a Florida Trail Association project in 1984, when this was a state park. Now, this Pinellas County preserve interprets the layers of archaeological history found at the site while providing miles of boardwalks and pathways to roam through the mangrove forests. This one surprised us with how wild it was for such an urban setting. It is right off Interstate 75 yet, as one of Hillsborough County’s Environmentally Sensitive Lands, showcases a scrub ridge and views of the river while shielding most of the surrounding urbanization from view. Revisiting one of the hikes from the first edition of this book, we found a mature forest and a pleasant walk along the Buncombe Hill Hiking Trail, plus a bonus: the newly opened Pershing Highway, an interpretive trail on a fascinating piece of automobile history in Daytona Beach. Scattered across five distinct pieces of public land surrounding Spruce Creek, this enormous preserve has everything from sweeping estuary views to a significant archaeological site atop tall bluffs that you wouldn’t expect to find in this coastal region. 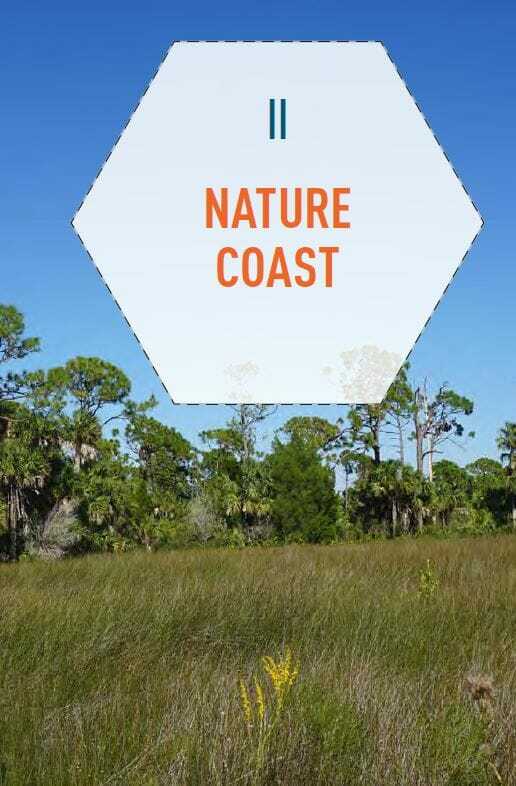 Take a look at the Table of Contents – including the full list of hikes in this book – on our 50 Hikes in Central Florida page, where you can also can order a book or grab a digital download for your e-reader. You’ll find previews of the hikes in this book on our YouTube channel, too. See them all in this curated playlist. For a more compact overview after the big book debut today, review our new video at the top of the page. It provides a brief glimpse into each of the 50 hikes in the book. Is there a new hiking trail around central Florida parkway near Williamsburg area? If so please send me info. I would love to go. 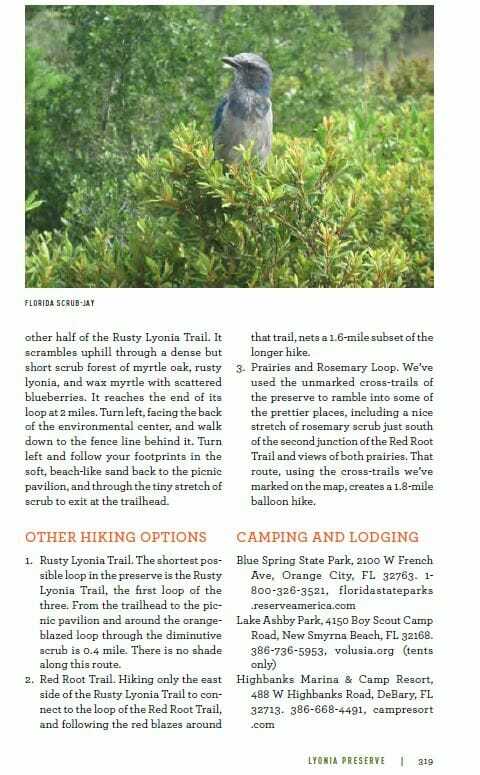 We did not include it in this book because we only walked a little of it, but there is a footpath / bike path in the woods along Shingle Creek with a trailhead at a school near the 528.